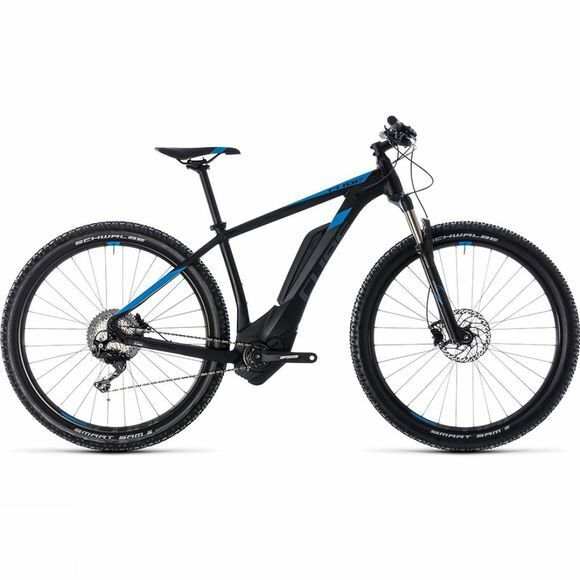 Nothing combines ease of use and fun quite as well as an e-MTB - and few e-MTBs can match the CUBE Reaction Hybrid Race for value and performance. Blending all our engineers' accumulated experience in a beautifully crafted frame designed around the requirements of the Bosch drive unit, we've hand picked the components to get the best out of your off-road riding. From the RockShox Silver fork to the 11 speed Shimano transmission, hydraulic disc brakes and comfortable, grippy 2.6 inch tyres, this is a bike that will squeeze the maximum fun out of any trail. Guaranteed to keep you smiling, mile after mile.